"Queen Sugar" is set to return this summer and production for the new season is underway. 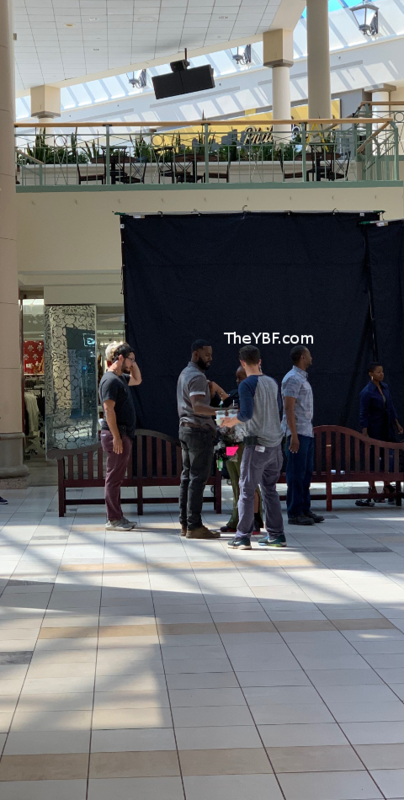 Kofi Siriboe - who plays Ralph Angel Bordelon in the OWN series - was spotted filming new scenes for the upcoming season inside Esplanade Mall in Kenner, LA yesterday. For Season 4, "Queen Sugar" creator/executive producer Ava DuVernay once again assembled an all-female directing team for the fourth consecutive season. Season 4 directors include Cheryl Dunye, who will also serve as producing director, in addition to Carmen Marrón, Numa Perrier, Heidi Saman, Bola Ogun and Tchaiko Omawale, all of whom will be making their television directorial debut, with additional names to be announced. Oh snap! #AvaDuvernay kept her word after the #TevinCampbell trending debacle and he’s on the set of #QueenSugar. When he's not on set, Kofi - who turned 25 earlier this month- is sweating it out in the gym. And as you can see, the workout sessions are doing his body ALL good. Forgive us, Lord for our eyes have sinned. Be sure to tune in for the new season of "Queen Sugar" when it premieres June 12th at 9pm EST on OWN. PREVIOUS: 'Braxton Family Values' First Look: Braxton Sisters Try To Move Forward After Explosive Therapy Session, But Is Blood Thicker Than Water?